In the early 1950s, a series of lawsuits reached federal courts challenging the 1896 ruling in Plessy v. Ferguson that public accomodations for people of different races could be separate but equal. Civil rights groups argued that racially segregated schools were inherently unequal, and in 1954, the Supreme Court agreed. Brown v. Board of Education ordered the end of separate black and white schools, but making integration a reality took years of struggle and protest, and debates over school integration continue to this day. In this chapter we’ll explore the process of school desegregation from the 1950s through the 1970s — not only the politics and policy but the impact that change had on students, parents, and teachers. 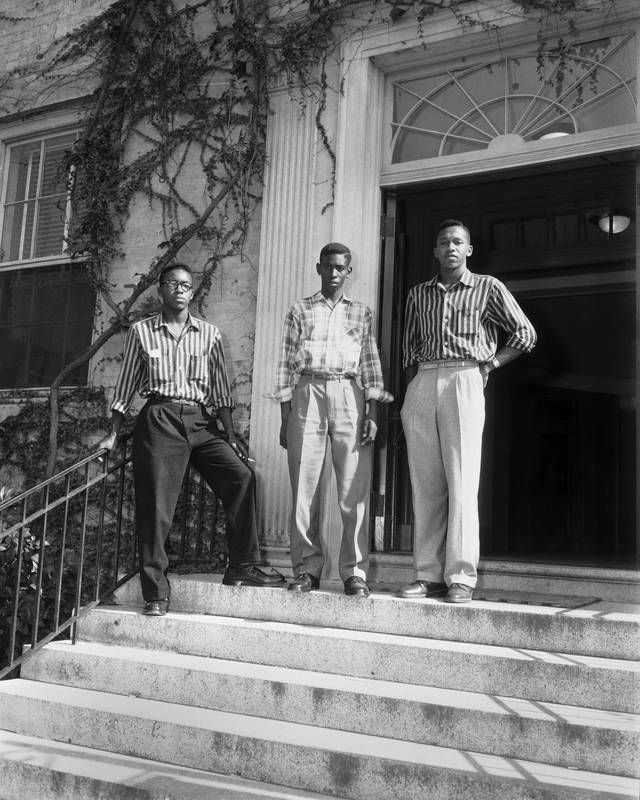 Image of black students at UNC-Chapel Hill. From the Virtual Museum of University History at UNC-Chapel Hill.